Will muscly might or supersonic speed triumph? This Smash Boom Best battle takes on two out-of-this world superhuman powers. 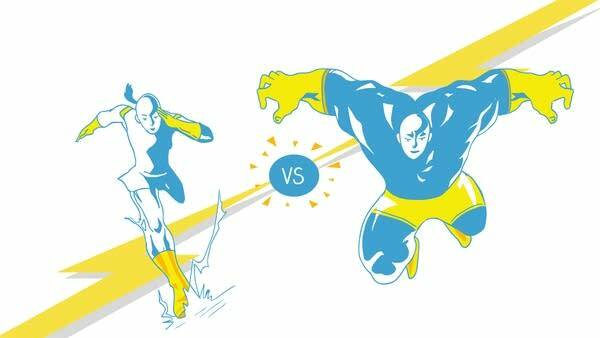 Which would you rather have: super speed or super strength? Are you Team Super Speed or Super Strength? Cast your vote here! And click here to share your debate ideas with us! Listen to more episodes of Smash Boom Best here!